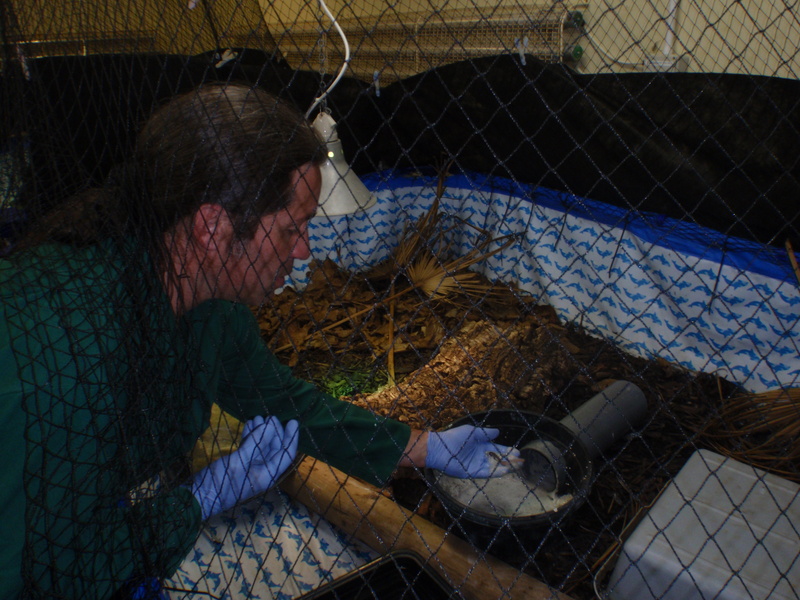 Check out Durrell Wildlife Conservation Trust’s work on Agile Frogs! I recently had the great pleasure of visiting Gerardo Garcia, Jamie Topsey, Dan Lay and Charlotte Goble at Durrell. In addition to a having a fantastic facility there on the Isle of Jersey, these folks have put together really great programs in training and on-the-ground amphibian conservation. I’m going to try to post a few images here of their facilities. The Agile Frog, one of only 3 amphibian species on Jersey is down to very small numbers in the wild at one location. The Durrell folks have been collecting eggs and headstarting tadpoles and froglets for release for several years now into two locations and are seeing success! Check out my friend Gerardo Garcia here in this quick video from http://www.durrell.org/Home/Videos/Agile-frog-tadpole-releasing/ that details their work. It’s really great! I was able to put fit into some tyvek and enter their awesome biosecure facility where they are breeding this rare frog. Gerardo says they hope to return frogs to Montserrat by the end of the year to trial reintroductions in a safer place on the island. 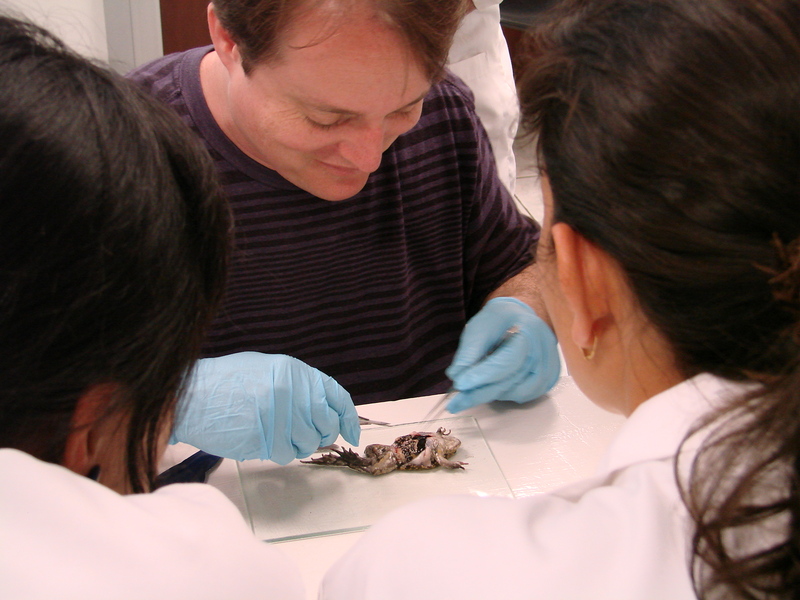 In February I facilitated an amphibian Conservation Needs Assessment workshop for Guatemalan species, at the Museum of the University of San Carlos in Guatemala City. Participants at the workshop were Carlos Vasquez, Jonathan Campbell (Guatemalan Regional Chair of the IUCN/SSC Amphibian Specialist Group), Ted Papenfuss , Manuel Acevedo, Roderico Anzueto , Liza García, Jacobo Conde, Alejandra Zamora and Gustavo Ruano. 12 species suited to conservation education – Species that are specifically selected for management – primarily in zoos and aquariums – to inspire and increase knowledge in visitors, in order to promote positive behavioural change. For example, when a species is used to raise financial or other support for field conservation projects (this would include clearly defined ‘flagship’ or ‘ambassador’ species). 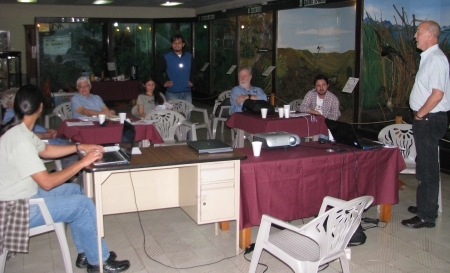 Workshop participants assessing the conservation needs of Guatemalan amphibians. At the end of the workshop, participants discussed the results, and the next steps that are required. 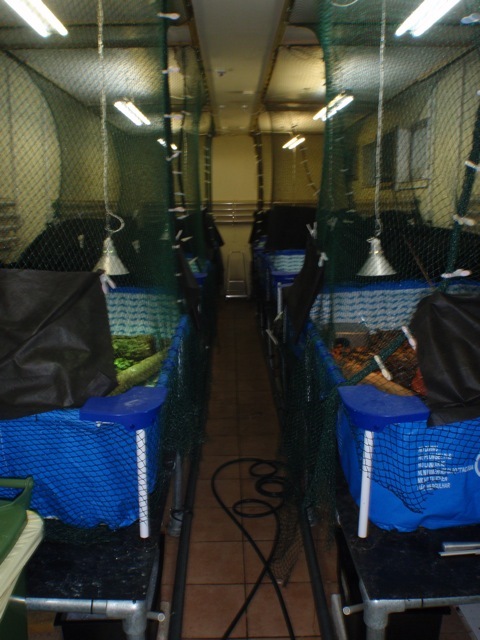 Further in situ research work is currently underway, with a number of universities currently involved in field research. Interest is high in holding an amphibian husbandry workshop in Guatemala over the coming months to increase the in-country capacity to establish successful ex situ conservation programs. A proposal is currently being drafted to seek support for a small amphibian conservation breeding and display facility, with display facilities for one or two common frog and salamander species, and an off-display area where husbandry skills can be increased, and several species can be established for captive breeding. Funds for the workshop were generously provided by the Columbus Zoo and Aquarium Conservation Fund, and we are grateful for their support for this workshop. The detailed results from the workshop can be found on the Amphibian Ark’s data portal. 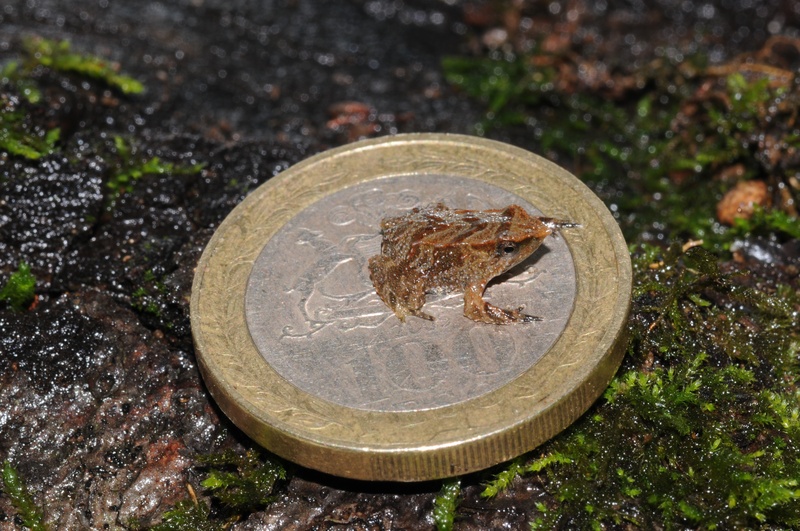 A First for Darwin’s Frogs in Chile! With Marcela Sepulveda Tirado of Santiago’s National Zoo, I traveled to Concepción, Chile andvisited the ex situ facility for Darwin’s Frogs (Rhinoderma darwinii) in September 2009 to find Carlos Barrientos Donoso and his advisor Professor Juan Carlos Ortiz carefully watching over 11 Darwin’s frogs and receiving advice from Dr. Klaus Busse of the Bonn Museum in Germany. This ex situ breeding project, a joint effort of the Universidad de Concepción and Leipzig Zoo is focused on preserving this amazing frog within it’s range country. The frogs appeared to be doing very well under their care and we observed courtship activities that very day. Later in the year, I was informed that the frogs had bred and there were males holding developing froglets in their vocal sacs. Frank Oberwemmer, Conservation Officer for Leipzig Zoo informed me recently that beginning on Christmas eve, December 24, 2009 and ending December 31, 2009, 13 tiny Darwin’s Frogs were born! They are now (February 21) up to 17 mm long and doing quite well! This represents the first captive breeding of this uniquely Chilean species in range country! Congratulations are definitely in order! I am certain that Marcela and team in Santiago will be next to breed this unique amphibian and soon will have tiny Darwin’s frogs to look after in their facility! (Actually, the range of Rhinoderma does slip into Argentina too!) Thanks to Frank for the heads up! Last week I visited the Balsa de los Sapos amphibian conservation program at the Catholic University (Pontificia Universidad Católica del Ecuador) in Quito, Ecuador with pathologist Allan Pessier (San Diego Zoo) and veterinarian Brad Wilson (Atlanta). Our mission was to help Dr. Luis Coloma and his staff with health and disease issues within their collection. Heidi Ross, c0-director of the El Valle Amphibian Conservation Center (EVACC) in Panama also joined us to relate her experiences working with an equally large and diverse collection of threatened amphibians.